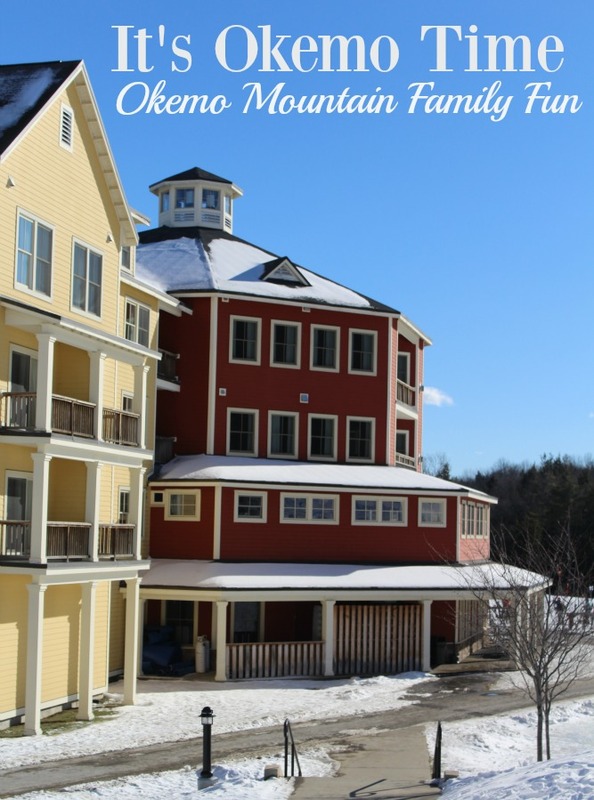 / Skiing at Okemo Mountain Resort – It’s Okemo Time! 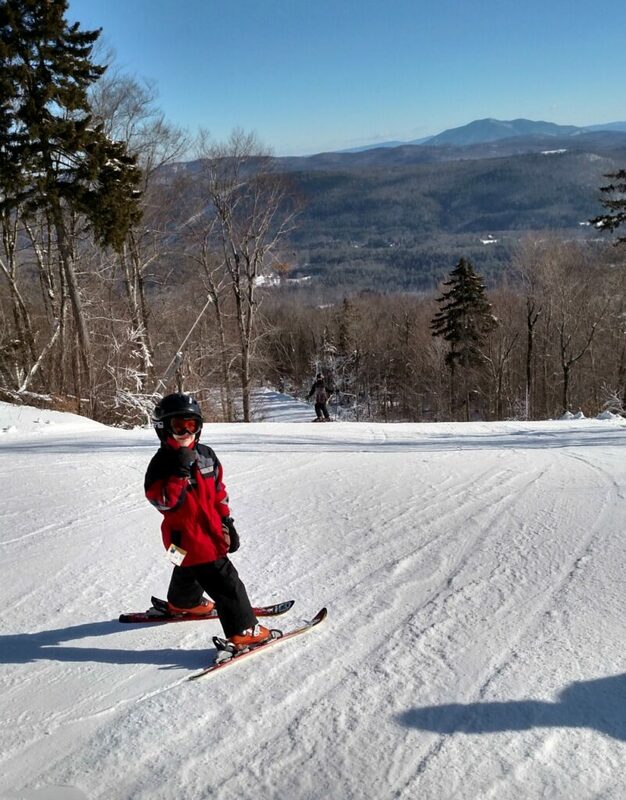 Skiing at Okemo Mountain Resort – It’s Okemo Time! It’s Okemo Time! Never heard of Okemo? Me either until recently. We were planning our big ski trip this year when we found Okemo. We were researching which mountains made the most sense for us to visit on our round trip journey from VA to VT for a week. We quickly realized how fortunate we were to be hosted by Okemo Mountain for two nights and a fantastic day of skiing. 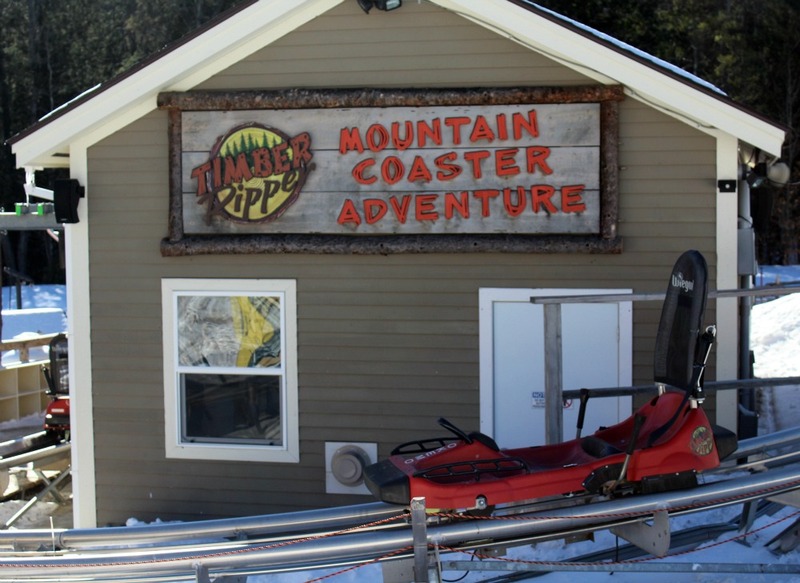 Mountain Coaster – The Timber Ripper Mountain Coaster is open year round and puts the driver in control. Snow Tubing – Just a short walk from the Jackson Gore Inn and you will soon be sliding with the whole family. Snow Cat Excursions – You can take an hour long ride in a snow cat with stops for taking pictures. What makes Okemo Mountain Resort Unique? Bubble Chair Lifts – What are bubble chair lifts you ask? The most beautiful thing since shaped skis. You can ride to the top of the peak in style and comfort behind the orange shield in a warm bubble that protects you from the wind and the snow. There are two bubble chair lifts at Okemo, a quad and a six seater. 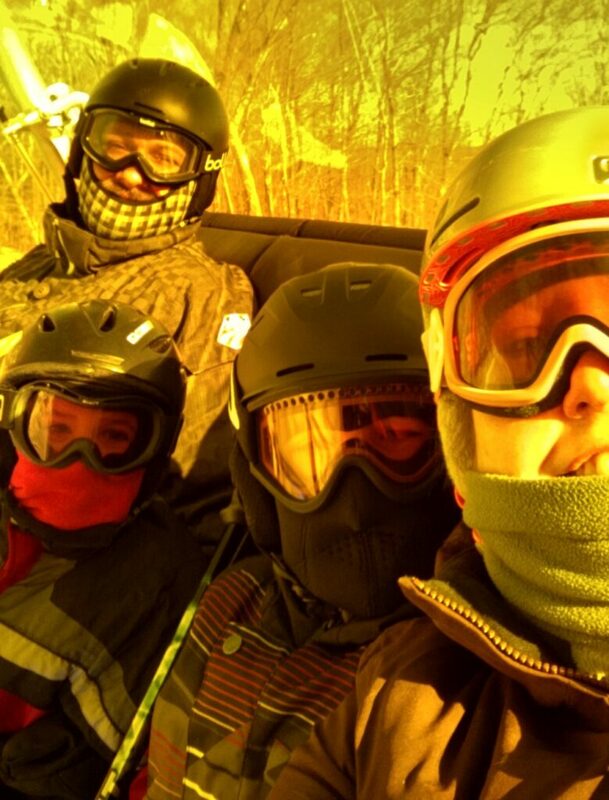 Get this – the six seater is heated! Awesome, right? It was so warm and cozy in the bubble that we took advantage of it for a family selfie! RFID (Radio Frequency Identification) Cards – Instead of lift tickets that have to be manually checked or scanned every time you get on the lift, you get an RFID Card. Lift lines are a breeze, you just glide through a gate with an electronic reader which scans your card which is safely in your pocket. What a relief, no more worry about lost lift tickets or where to attach them on everyone. I was a little concerned about this new technology, but it worked flawlessly. After a long day of skiing with the family, everyone just wants to get out of their gear, get into some comfy clothes, and relax. It is so nice to have accommodations that provide all the comforts of home right off the slopes. We stayed in the Adams House next to the Jackson Gore Inn. We were able to walk out the door and get right on the slopes. Another beautiful and always welcome site is a hot tub. 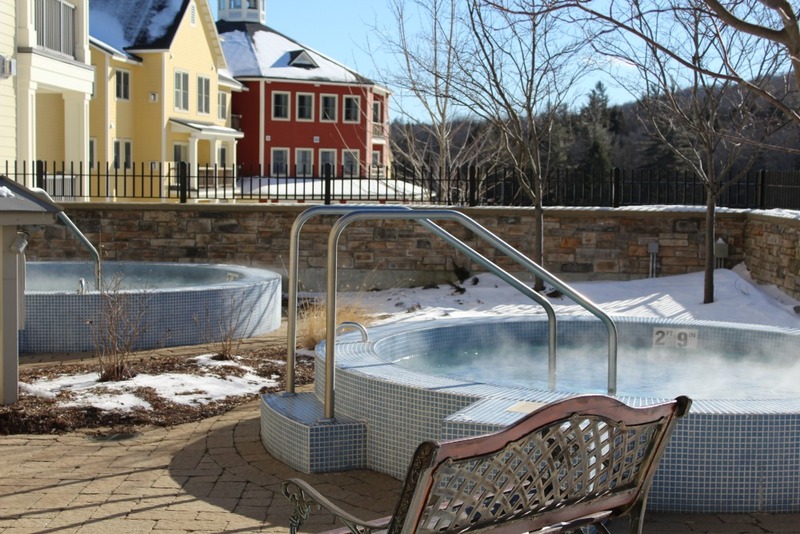 Being on the mountain all day can chill you to the bone and warming up in the hot tub is a sure fire remedy and eases your tired muscles. You can park your car in a heated parking garage under the house, which if you have ever unloaded a car full of luggage and ski gear in the harsh cold you know is a true luxury. 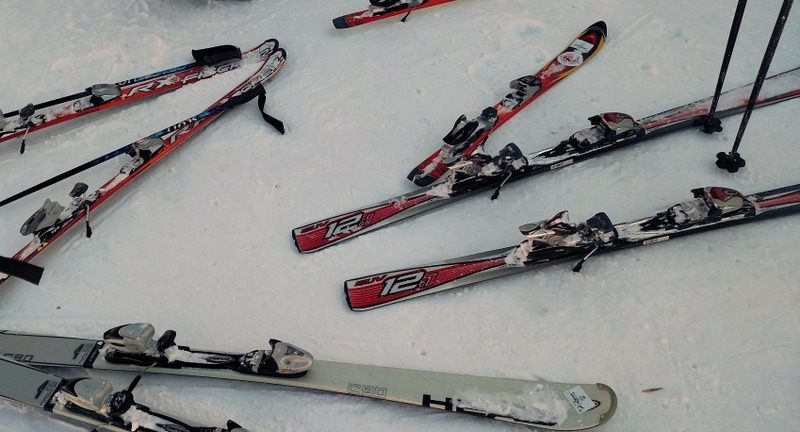 You can store your skis in a locker for easy access. 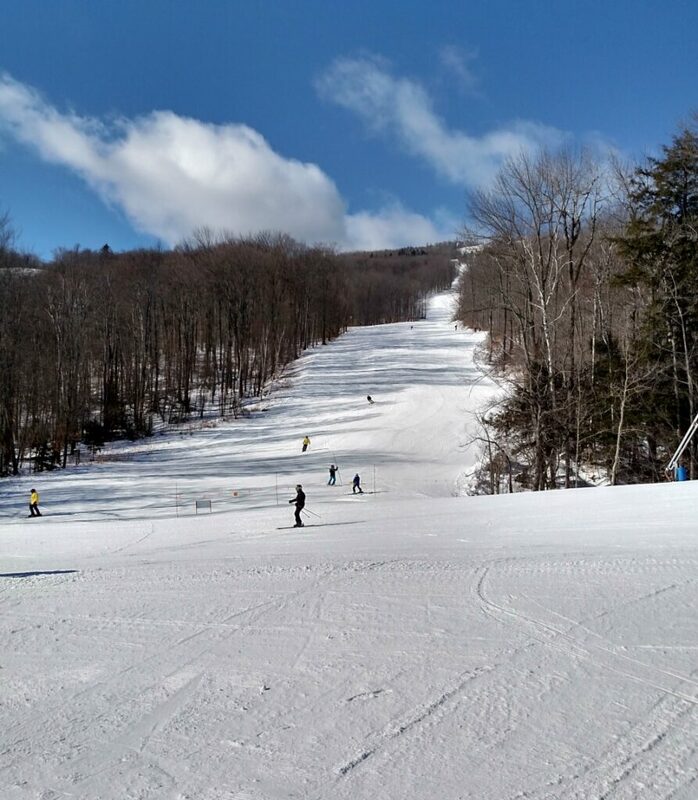 During our stay, we talked to an older couple who shared with us that they had skied all over the North East and that Okemo Mountain Resort is the only resort that they keep coming back to year after year. One trip to Okemo and we think you would agree with them. We certainly will be back again and I can’t wait. We are already hearing the question from our boys; when is it going to be Okemo time again? This looks and sounds amazing! I need a getaway too!! I will have to check this out!!! Thanks!